Located on the Assiniboine River in gracious Armstrong’s Point, this house was the home of Reverend Charles Gordon, wife Helen, and their seven children. Under the pen name Ralph Connor, Rev. Gordon holds the title of Canada’s bestselling author – ever. 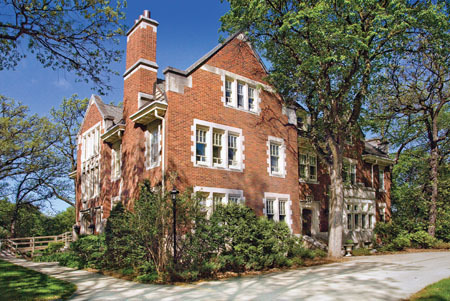 After Gordon’s death in 1937, the University Women’s Club and the Friends of Ralph Connor House continue to maintain this 11,000 square-foot Jacobethan-style mansion. This year the lower level of the house will also feature a display by the Armstrong’s Point Association – be sure to check it out! Guided tours will run from 11:00am to 3:30pm, lasting 50-60 minutes, maximum 10 participants.